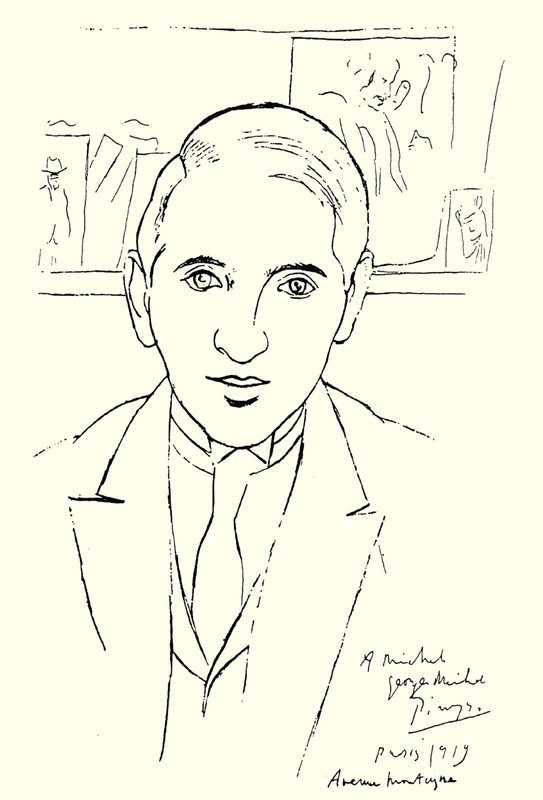 From Renoir to Picasso by the French artist and writer Michel Georges-Michel (1883-1985) was published in English translation in 1957. This is a collection of chatty first-hand accounts of artists that Georges-Michel had known through the early to mid 1900's. In 1917 he had organised an exhibition of Picasso's work in Rome. A quote from George Braque: Painting is getting closer and closer to poetry, now that photography has freed it from the need to tell a story. Like music, painting must have its own means of expression. Below a drawing of Georges-Michel by Picasso. The full book is HERE.